The Lamar County Genealogical Society meeting will be at 7:00 PM on Tuesday, April 9. Our speaker will be Kathy Lathen. This is the second in a series of speakers from the historic sites in our area. Kathy Lathen is a native Texan and has lived in Garland for the past sixteen years with her husband of twenty-three years Darren and daughter Dana. 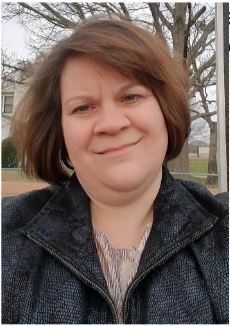 She is the Educator/Interpreter at the Sam Rayburn House State Historic Site (SHS) in Bonham, Texas and brings with her close to fifteen years of middle school teaching experience and a passion for researching the past. Before teaching, she researched historical records including maps and deeds at city, county, state, or federal levels to report on the history of the land at several United States Environmental Protection Agency designated Superfund sites. During the summer of 2016, Kathy volunteered and helped in the construction of the Caddo grass house at Caddo Mounds SHS in Alto, Texas. Her writing contributions to Caddo Mounds SHS include the following lessons: “Poetry in Nature: Writing Activities and Comparisons to Caddo Poetry,” “Caddo Storytelling,” and “El Camino Real de Los Tejas.” As a professional development presenter for educators, she has spoken on topics and strategies that promote greater student interaction with primary resources. In her free time, she enjoys camping, fossil hunting, watching college football, and dressing up as a Jawa character from Star Wars with the Star Garrison of the 501st Legion bringing smiles to children at parades, library, and community events in Texas.